"Just to let you know that I still love the new car which is running well. I'm so grateful to you and Dave. You helped me solve a big problem in the best possible way at a time when my ife seemed overwhelmed by many big problems. Driving out to NY to pick up the car was way above and beyond what I or any reasonable person would have expected, but I'm so glad you did. The perfect car for me, exactly what I was looking for, and it's helped me adjust to my new situation." Kathy and Dave are wonderful people who made buying a car a wonderful experience. Dave is very knowledgeable about cars and Kathy does a great job on the sales front. It's never a hi-pressure sales pitch like has become the norm at most other dealership. I wasn't local so they ensured I'd be picked up at the train station and dropped off. Weeks after I bought the car, there would still be follow up to check in on whether everything was ok. Overall, Kathy and Dave run a great business with a lot of personal touch. I would recommend Village European to anyone in the market for a used car." "Dave is a good guy, incredibly technically competent, hires good competent people, and does good diagnostic and repair work. Yes your bill at Village European might be a little higher than at some other shops, but the work will be done right the first time, and with quality parts, not Chinese junk. Your bill might also be lower than other shops because at VE they'll diagnose the problem correctly, and not just keep replacing parts until the problem goes away. Jake at the front desk is also incredibly friendly, helpful, and easy to work with. If you're used to clueless surly service writers at dealerships and other repair shops, you'll be pleasantly surprised here. Some good humans make up the team there: Kathy was so incredibly lovely and helpful when I called (essentially in crisis mode) yesterday afternoon. She was helpful, genuine, and understanding. She booked an appointment for me to bring my car in this afternoon - and said to ask for Jake when I arrived. Jake was great, and I'm sure I held up his evening since I arrived late on a Friday night - but he was so very patient and accommodating. And then there's Dave: the car whisperer. What I appreciate most about Dave is that he really took the time to educate me on what was going on with the car. He's been doing this for a while, and is clear as his knowledge on the subject of cars (Mercedes) is profound. I'm incredibly grateful to know this place exists, and even more so that it's close to my home. "My daughter's boyfriend got a flat tire in her 05 BMW X3 on rte 2- the donut spare tire was flat and jack broke - ugh( not his lucky day). We had it towed to Village European that we used once before and they were great... they gave him a loaner to get to work by 10:30 - amazing! Also--Jake was great at communicating with us about the tire situation. We had a truly great experience - woohoo! 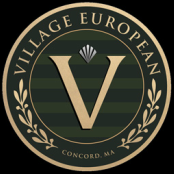 Thank you to village European!!!!"